﻿Pet Insurance provides coverage when your pet needs medical care for unexpected accidents, illnesses, emergency care and every day conditions as well as provides optional coverage for routine and preventative care. ﻿What can Pet Insurance cover? 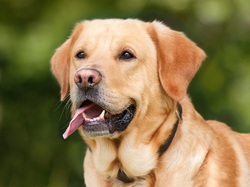 Pets Best offers Accident Only Plans to cover broken legs, snake bites and accidental swallowing for customers wanting coverage just for accidents.Why buy Pet Insurance through Us? ​Contact us to learn more about the right Pet insurance for you.